This title was shortlisted for the 2015 Costa Biography Award. It is the BBC Radio 4 Book of the Week. Wonderland is part of our cultural heritage - a shortcut for all that is beautiful and confusing; a metaphor used by artists, writers and politicians for 150 years. 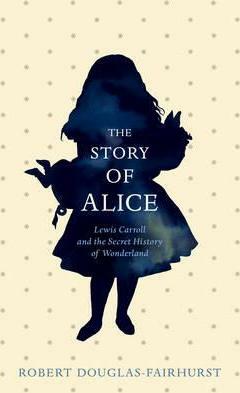 But beneath the fairy tale lies the complex history of the author and his subject: of Charles Dodgson, the quiet academic, and his second self, Lewis Carroll - storyteller, innovator and avid collector of 'child-friends'. And of his 'dream-child', Alice Liddell, and the fictional alter ego that would never let her grow up. This is their secret story: a history of love and loss, of innocence and ambiguity, and of one man's need to make Wonderland his refuge in a rapidly changing world. Drawing on previously unpublished material, Robert Douglas-Fairhurst traces the creation and influence of the Alice books against a shifting cultural landscape - the birth of photography, changing definitions of childhood and sexuality and the tensions inherent in the transition between the Victorian and modern worlds. Robert Douglas-Fairhurst is a Professor of English Literature at the University of Oxford, and a Fellow of Magdalen College. His most recent book, Becoming Dickens: The Invention of a Novelist, won the Duff Cooper Prize.